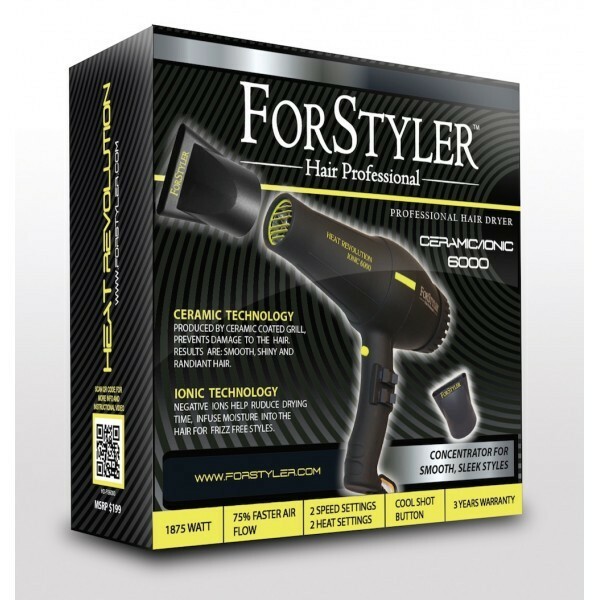 Ceramic Technology- produced by ceramic coated grill, prevents damage to the hair. The results are: smooth, shiny and radiant hair. 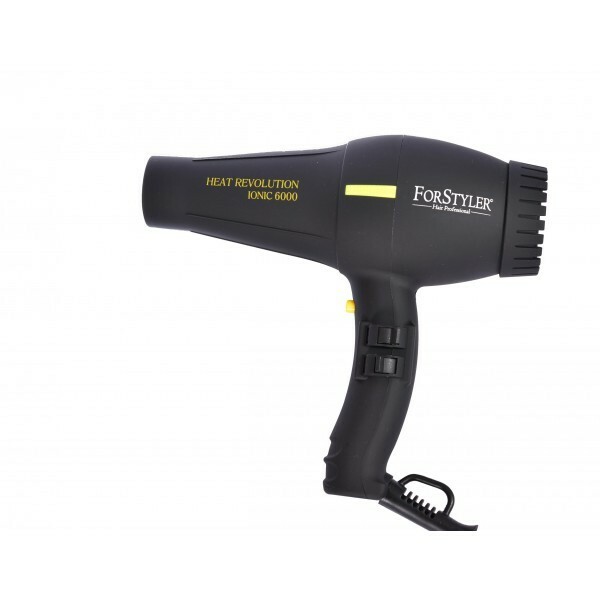 Ionic Technology- negative ions help reduce drying time, infuse moisture into the hair for frizz free styles. 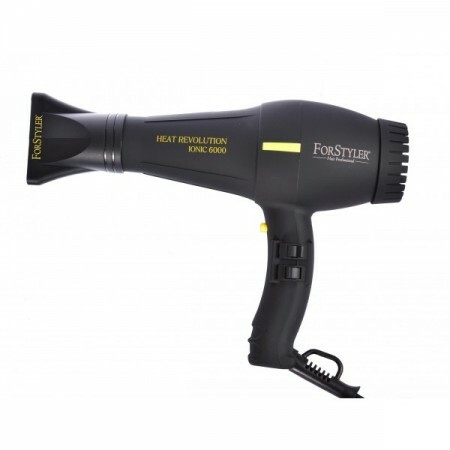 Features: -1875 WATT -Rubberized body for easy grip. -2 speed settings/2 heat settings. -Cool shot button for setting style. -Removable filter for easy cleaning, longer motor life. - 2 Concentrators for smooth sleek styles. - 9 feet cord with hang ring. - ALCI safety plug. - 3 years manufacture warranty.